NCB closed $2 higher on Friday. Bulls pushed he Jamaican stock market, to new heights last week, with more gains expected this week with the strong likelihood that the Junior Market will clear the historical high reached in 2017..
NCB Financial played an important role in the market movement last week for the main market and Derrimon Trading chipped in for the Junior Market, these were not the only contributors to the gains in in the market last week. Investors should keep their eyes on a number of stocks this week. 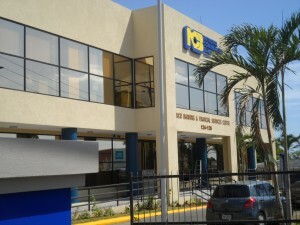 NCB that closed on $115, should move higher this week as demand continues to build and with limited supply on offer. Scotia Group last trade was at $59.50 but the price could pull back before they release results for the July quarter on Wednesday. Those results could set the stage for price movements over the next few weeks. With PE ratios rising even a modest increase in profits could see the price moving into record territory. Grace Kennedy may not be ready to break out of the $60 range as yet but it’s a stock to keep an eye on. Caribbean Cement keeps trading between $46 to $50, but there appears no real desire to move the price forward. Kingston Wharves closed the past week at a record high of at $68.50 and seems poised to move higher but the PE ratio of 44 is compared to a market average of 14, is scary. Supply of the stock remains low, with just two offers of 6,813 shares are displayed. Sygnus Credit Investments picked up last week buoyed by full year results in line with expectations of US$1.4 million. Demand should carry over into the current week and could lift the price further. Jamaica Producers has very limited volume on offer mostly in the higher $20 region while demand is building at $19 and just below. In the Junior market, Indies continue with strong demand existing for the stock, with news of potential acquisition and new products, the stock is worth watching for more gains. Demand is building for Elite Diagnostics while supply has waned. General Accident could move higher as more demand comes in for it with limited selling, but investors may not want to be more aggressive with this stock at this time. If the company were to announce expansion into the Eastern Caribbean it may well make a difference. Caribbean Flavours continues to slowly move higher and could do the same this week. There is no certainty the Derrimon Trading will rise any higher now that the price is in the mid three to four dollar level but must be watched. Medical Disposables, should be on the watch list for investors. Stocks with scarce supplies that could spring surprises include Grace Kennedy, NCB Financial, Berger Paints, Caribbean Cement, Kingston Wharves, PanJam Investment, Sagicor Group, Salada Foods, Seprod and Scotia Group. The Junior Market supplies continue to be limited for many of the listings. The list includes, Caribbean Flavours, Cargo Handlers, Derrimon Trading, Express Catering, General Accident, Caribbean Cream, Medical Disposables and Stationery and Office Supplies.